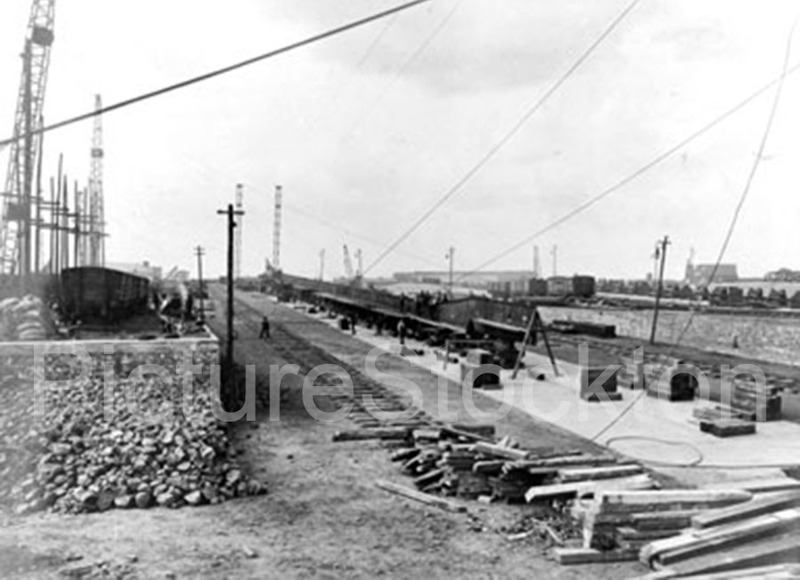 A photograph showing the construction of railway tracks at Haverton Hill c1919. This entry was posted in Industry by Picture Stockton Team. Bookmark the permalink. Looking at the gradient of the land on the right I wonder if this photo shows a new slipway? There is a railway track to bring in materials either side of the concrete ramp. And it looks as if a keel is being laid down the centre of the concrete ramp.